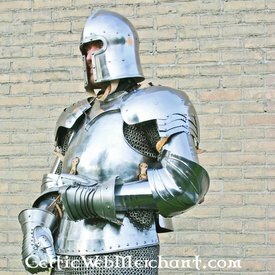 This cuirass is made after an early 15th century original. It offers a good protection but leaves enough freedom of movement. It is slightly goose bellied. 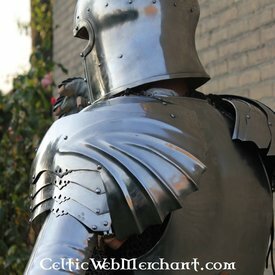 This armour is made of cold rolled plate steel. It is available with a steel thickness of 1,3 mm, 1,6 mm or 2,0 mm and with an unpolished or polished finish.